The Civilian Marksmanship Program (CMP) invites you to participate in its fourth annual Anniston Marksmanship Center Dixie Double. This match offers 60-shot international air rifle standing and 60-shot air pistol events for open men and women and junior men and women. USA Shooting is sanctioning this match as a PSA/PSI match sanctions; it is also sanctioned as a PTO. 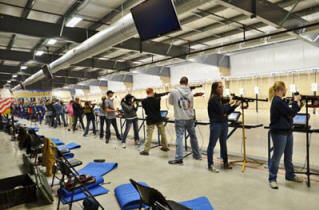 ANNISTON, AL & CAMP PERRY, OH – Ariana Grabowski, 17, of Altoona, PA, won the 2012 Gary Anderson Invitational (GAI) precision air rifle class competition and Jacob Cress, 16, of Winthrop Harbor, IL, was the winner of the sporter division in the three-position match held simultaneously at the CMP’s twin marksmanship centers in Alabama and Ohio on 1 December. Grabowski qualified with a 60-shot score of 591 and finished with 690.4 aggregate points to outlast Benjamin Estes, 17, of Ozark, MO, who claimed second place with a combined qualification and final score of 687.1. Estes fired the high final score of the precision class (102.1), but came up three points shy of Grabowski. ANNISTON, AL – Dempster Christenson, 22, of Sioux Falls, SD, grabbed the early lead in the open division of the fourth annual Dixie Double and never looked back, winning by 16 points over the next closest open division competitor, SPC Erin Lorenzen, U.S. Army. Elizabeth Gratz, 16, of Sigel, IL, won the junior division, leading both days and scoring high enough to place second among junior AND open shooters, which included a field of notable U.S. and international competitors. 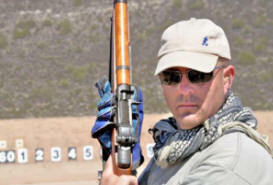 PHOENIX, ARIZONA – Several new shooters attended the ninth annual Western CMP Games at Ben Avery Shooting Facility, 13-16 October, helping boost the total number of games entries to 521 compared to 495 last year. 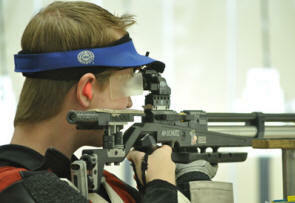 The fast-growing Vintage Sniper Rifle Team Match helped swell the numbers, growing by an additional14 teams to a total of 40 compared to 2011. 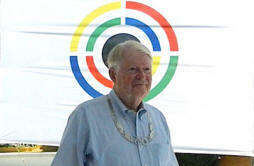 USA Shooting President and two-time Olympic gold medalist Gary Anderson (Oak Harbor, Ohio) was awarded the International Olympic Committee's (IOC) Olympic Order on Thursday. International Shooting Sport Federation (ISSF) President and IOC member Olegario Vazquez Raña had the honor to award the IOC Olympic Order to Anderson during ISSF Meetings taking place in Alcapulco, Mexico, on behalf of IOC President Jacques Rogge. 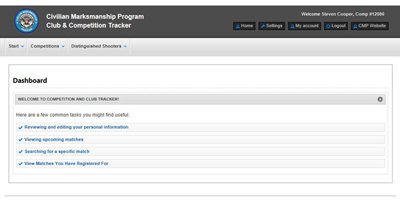 The Civilian Marksmanship Program recently rolled out elements of its new Competition Tracker database program, which will allows competitors and clubs to update their own information, enter matches, get results, view historic match records and more. 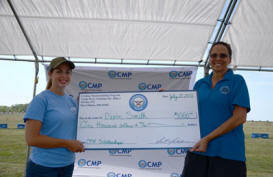 CAMP PERRY, OHIO - The Civilian Marksmanship Program is taking applications for its $1,000 annual college scholarship program, available to all graduating high school seniors who participate in rifle or pistol marksmanship competitions. Last year the CMP awarded 59 scholarships to non-JROTC students. It was the first year of the CMP’s expanded scholarship outreach program.